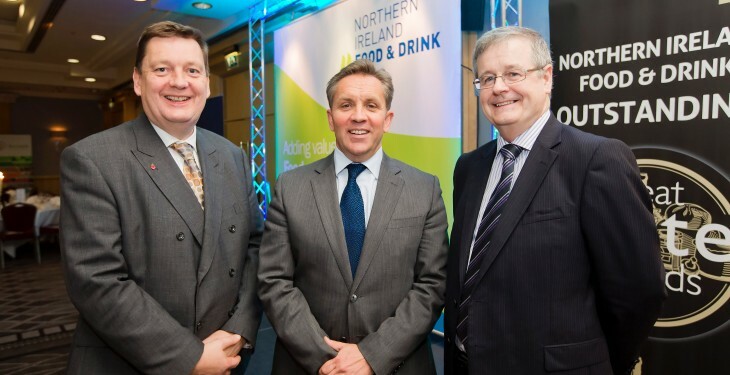 “Northern Ireland is on track to deliver on the ambitious targets set for its agri-food industry but succession is key to success,” according to Tony O’Neill, who was speaking at the recent NI Food & Drink Association (NIFDA) annual dinner in Belfast. Addressing an audience of food industry leaders he stressed that co-operation along the supply chain, coupled with much closer government/industry collaboration would secure this goal, to the huge benefit of the NI economy. “Up-skilling the industry for future growth was also vital,” he said, urging DEL, Invest NI and CAFRE to streamline and synchronise their training programme offers as a means of overcoming the current confusion within the industry about what government support is available. “Our industry’s impressive growth has been achieved by our captains of industry, but tomorrow’s growth will be achieved by today’s lieutenants. We must prioritise the early selection of the next generation of captains…be they from within our own businesses or from other professional backgrounds, and we must invest in them as future leaders. “We should never be content with simply ‘very good’…we must be best, as planning for succession will deliver success,” he said. 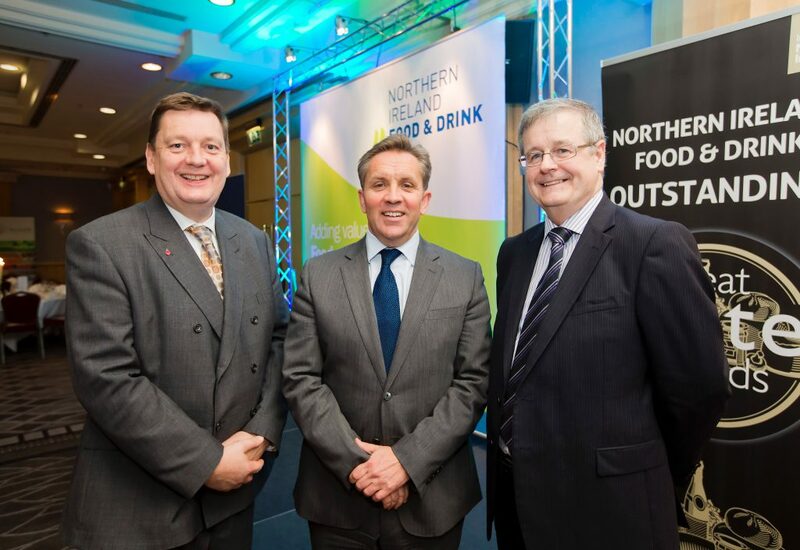 Welcoming Justin King, CEO of Sainsbury’s as guest speaker, the chairman of the NIFDA recognised the significance of the UK multiples to NI’s food industry which is now 80 per cent export dependent, a figure set to grow over the next seven years. Pictured at the NIFDA Annual Dinner in Belfast are (from l-r): Michael Bell, Chief Executive of NIFDA, Justin King, CEO Sainsbury’s who was guest speaker on the evening and Tony O’Neill, Chairman of NIFDA.